Gulf-front condominium offering fantastic views of the Gulf of Mexico--this corner unit faces directly south toward the gulf and it has the added benefit of southwesterly sunset views as well! The 4-bedroom, 3-bath unit with open living/dining/kitchen area features crown molding, granite countertops, a large breakfast bar, stainless appliances, tile floors, washer/dryer and a large covered balcony for enjoying the gulf day or night. This residence is fully furnished, turnkey, and rental ready for those desiring an income-producing property.In addition to 516' of fabulous beach frontage, Azure's amenities include beautiful pools/hot tubs and a fitness room. 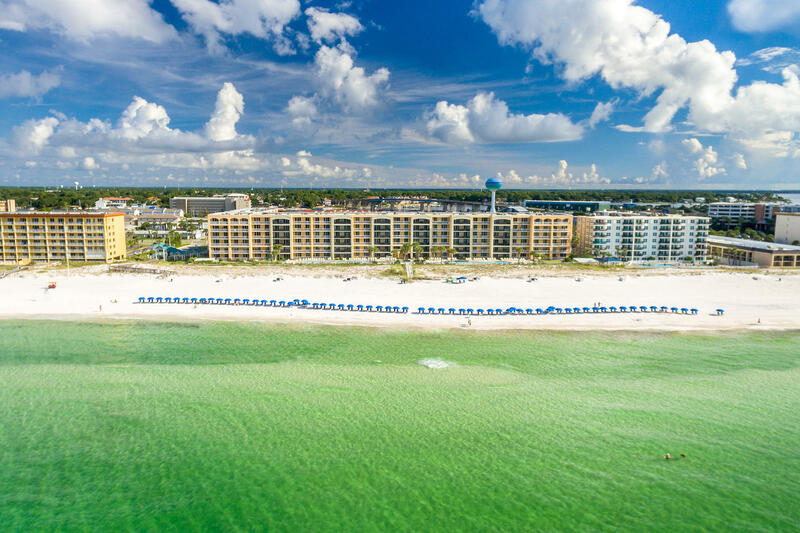 The Okaloosa Island location is in easy reach of both Destin and Fort Walton Beach for enjoying the best of the Emerald Coast!